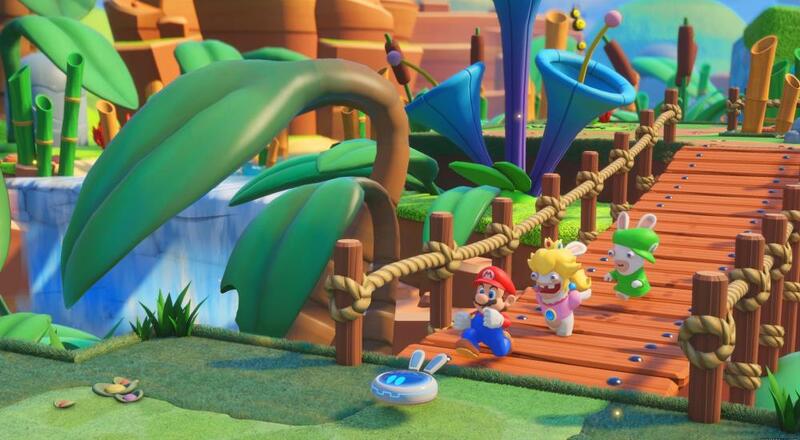 Mario and his Rabbid friends will be duking it out XCom style with a bunch of evil Rabbids next Tuesday in Mario + Rabbids Kingdom Battle, and yesterday Ubisoft just revealed plans for some additional content that will be arriving after its release. The good news is that there will be additional co-op challenges as part of all this. The three things that Ubisoft outlined/teased in their blog post for post-launch content are eight "Steampunk" themed weapons that will be available at launch, new solo and co-op challenge maps, and "unexpected story content." The challenge maps will be released sometime this fall, while the new story content won't drop until sometime next year. All of this can be yours if you pick up the Season Pass, which will be available on launch day (August 29) in the Nintendo eShop for $19.99. Considering the game itself is a bit of an unknown quantity at this point, this means you're essentially paying $20 for content for something sight-unseen, so you might want to wait just a bit before grabbing that. We'll have a Co-Op Review of Mario + Rabbids Kingdom Battle after its release, so be sure to keep an eye out for that to get our thoughts on the game as a whole and, specifically, how good are those co-op challenges. Page created in 1.4353 seconds.